Microsoft Outlook 2013 stores your email messages, contacts, and most other information in a file with the .pst file extension. However, your signatures are not included in that file. 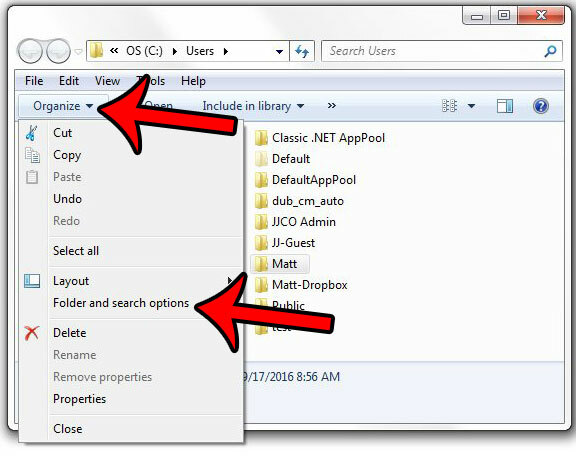 If you are setting up Outlook 2013 on a new computer, or if you simply wish to back up your signature file, then you might be wondering where you can find them. 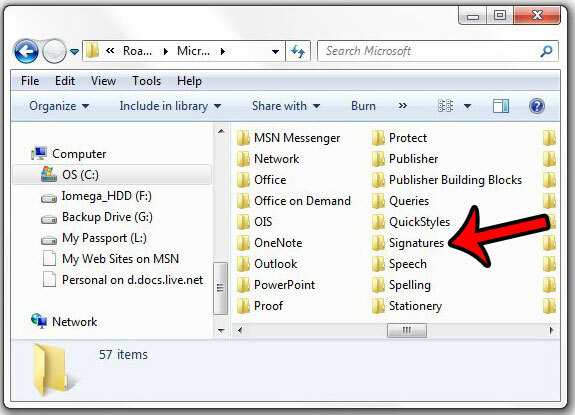 Our tutorial below will walk you through each step of getting to the folder where your Outlook 2013 signature is located. 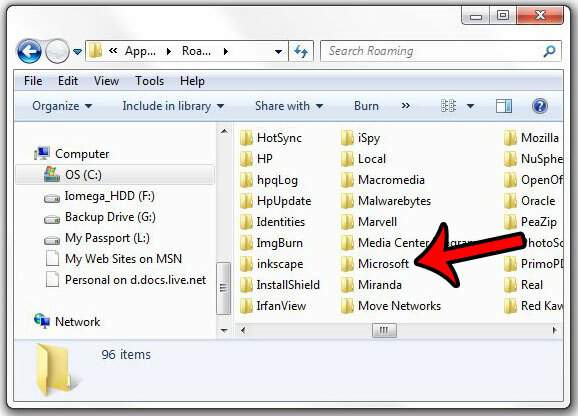 We also provide the file path, if you would prefer to locate the signature files with that information instead. 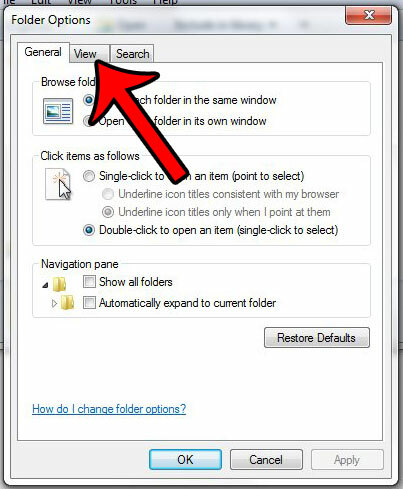 The steps below are going to show you how to find the signature file that Outlook 2013 uses. 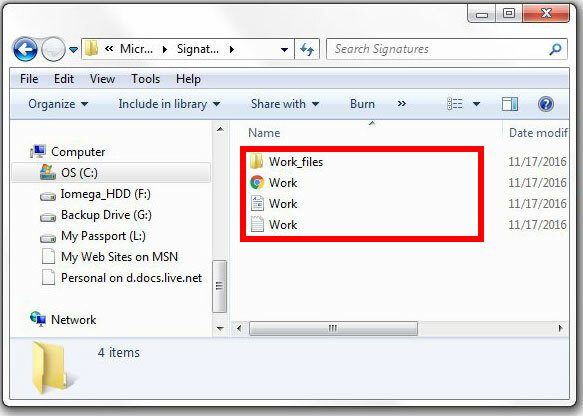 If you wish to move your signature to a different location, or if you want to create a backup of your Outlook 2013 signature file, then you can simply copy and paste the file that we will locate in the steps below. 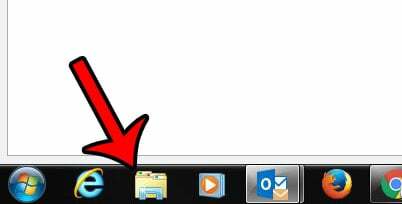 Step 1: Click the folder icon in your taskbar to open Windows Explorer. 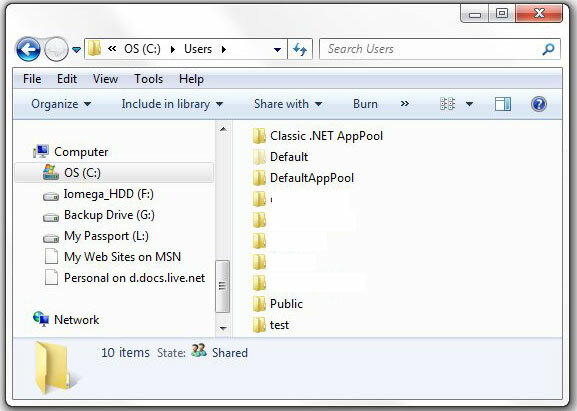 Step 2: Click Organize at the top of the window, then click Folder and search options. Step 3: Click the View tab. 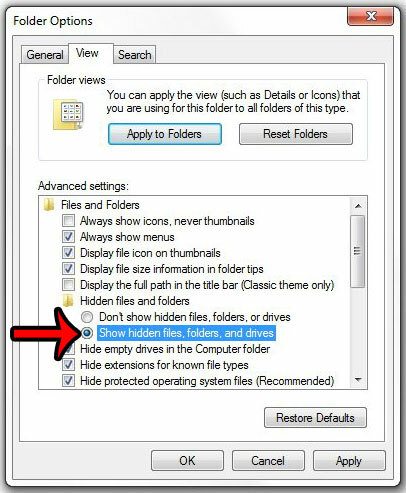 Step 4: Check the circle to the left of Show hidden files, folders, and drives, click Apply at the bottom of the window, then click the OK button to close it. 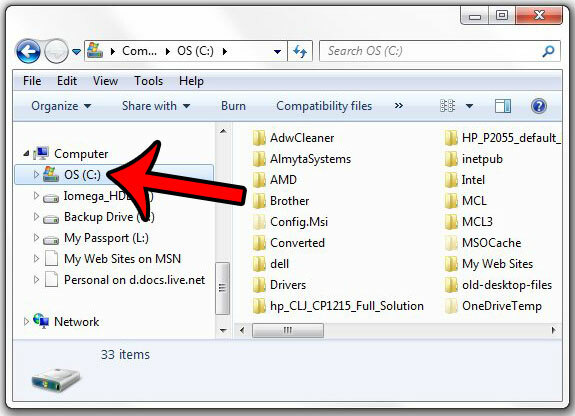 Step 5: Scroll down and click the C drive option under Computer in the left column. 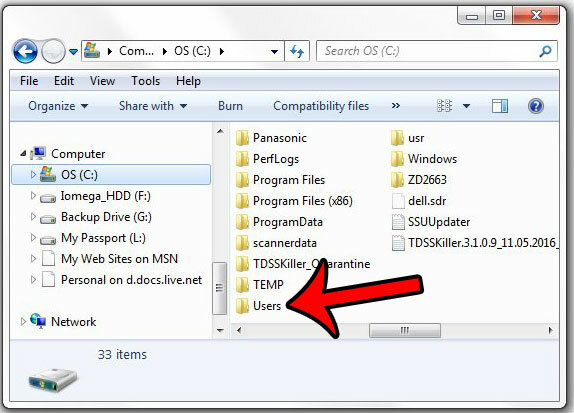 Step 6: Double-click the Users folder. Step 7: Double-click your user profile. 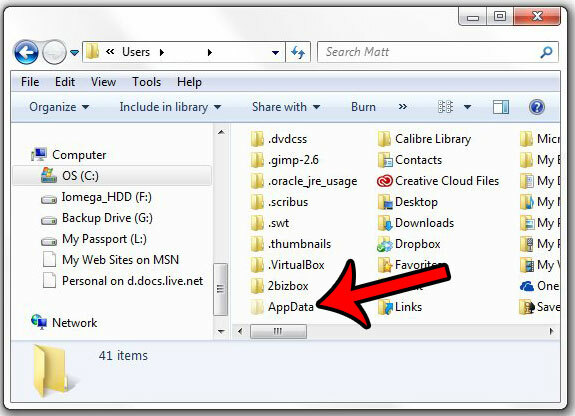 Step 8: Double-click the AppData folder. 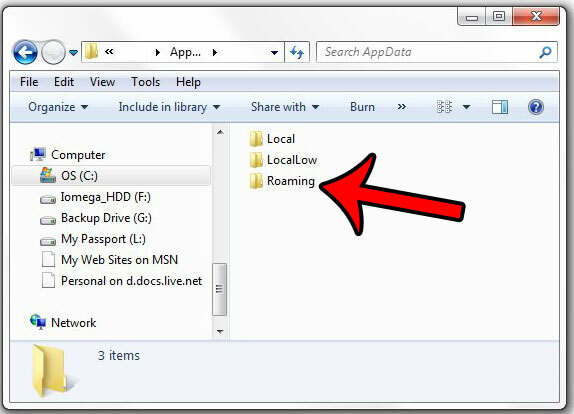 Step 9: Double-click the Roaming option. Step 10: Double-click the Microsoft option. Step 11: Double-click the Signatures option. Do you need to change some of the information in your signature? Click here to see how to edit a signature from within Microsoft Outlook 2013.